If you have an interest and desire to work in the motor trade then Busseys could put you on the right road as an apprentice technician. Generations of aspiring young people have started in the automotive industry as apprentices before climbing the career ladder. With modern vehicles featuring more and more hi-tech features, it’s a great time to take up the challenge. Family-run motor group Busseys has long been a keen supporter of apprentices, with eight currently with the group, with apprentice technicians working from NVQ level 1 through to level 3 on three-year courses, covering both cars and commercial vehicles. It works closely with both the Ford and Peugeot’s technician apprenticeship schemes, giving successful candidates a good grounding in the motor trade. Busseys likes to take apprentices from the local area, seeing it as a way of supporting people in the local community. While apprentice technicians work at its various branches, parts apprentices are based at the main Busseys main site in Whiffler Road, Norwich. As well as technicians, apprenticeships are also available in other roles, such as service, sales and administration. 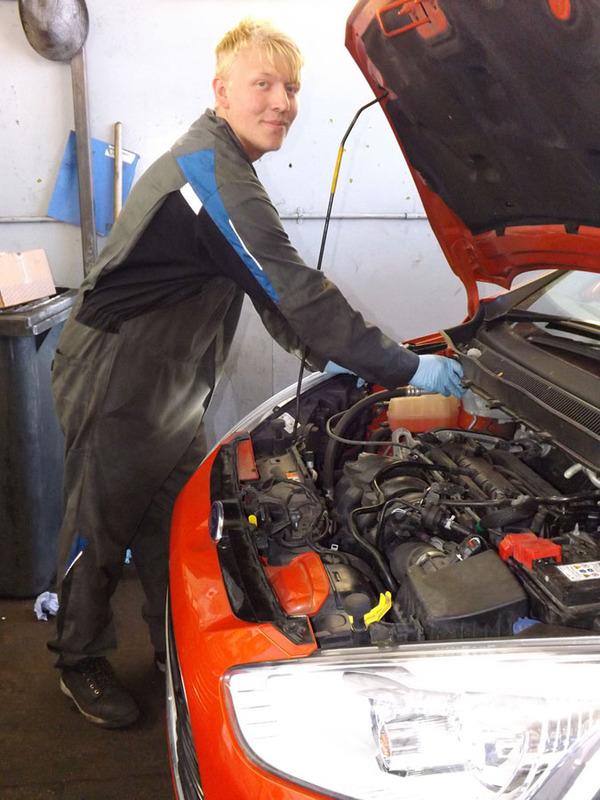 A mentor-type scheme in the workshop means apprentices can learn on the job with Busseys current qualified technicians who can teach them a wide variety of skills and pass on knowledge and expertise gained from years of experience. They also receive robust training direct from Ford and Peugeot to give them a sound knowledge of the latest technology. Doing an apprenticeship with Busseys means they learn their trade with a reputable company and grow up with the motor group’s family values and focus on customer service. And Busseys encourages and promotes from within, further developing its home-grown talent. After completing their course, technicians can develop their careers further by working towards new qualifications, such as becoming a master technician.